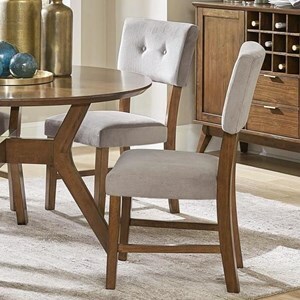 Whether placed in a dining room or open concept kitchen, this Chair and table set brings classic mid-century modern style and an inviting aesthetic to your home. 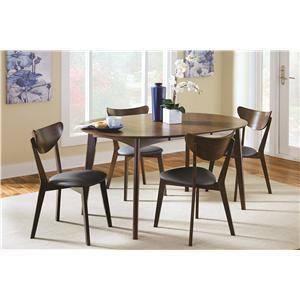 Features such as a subtly tapered table top and warm finish help to create the table's mid-century modern style. The side chair's light upholstery perfectly pairs to the warm finish of the table, brightening up any room they are placed in. 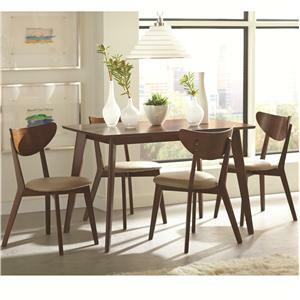 The Edam Mid-Century Modern 5 Piece Chair & Table Set by Homelegance at Value City Furniture in the New Jersey, NJ, Staten Island, Hoboken area. Product availability may vary. Contact us for the most current availability on this product. 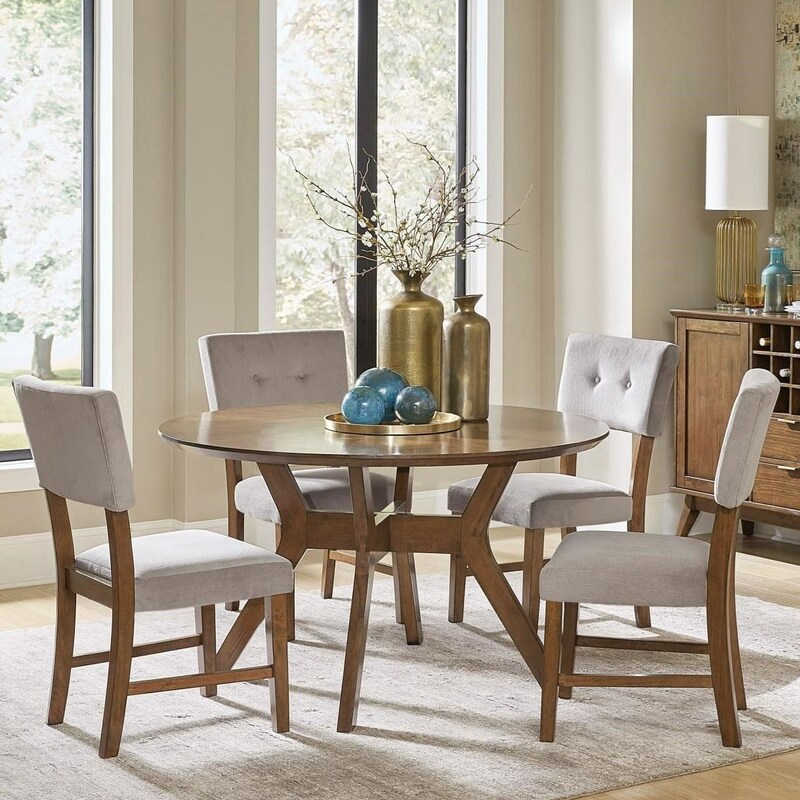 Creating a welcoming yet stylish dining area has never felt easier, thanks to this dining collection. 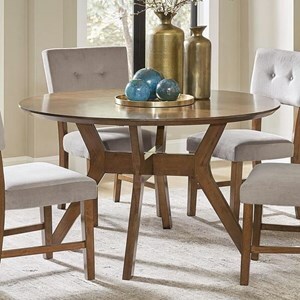 The collection features mid-century modern design and a relaxed style that encourages you to take the time to enjoy good company for hours after your meal is over. 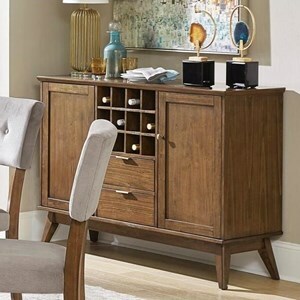 The Edam collection is a great option if you are looking for Mid-Century Modern furniture in the New Jersey, NJ, Staten Island, Hoboken area. 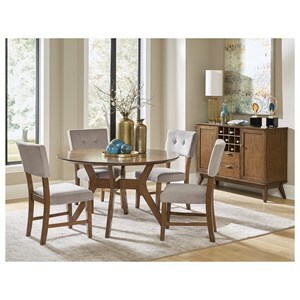 Browse other items in the Edam collection from Value City Furniture in the New Jersey, NJ, Staten Island, Hoboken area.